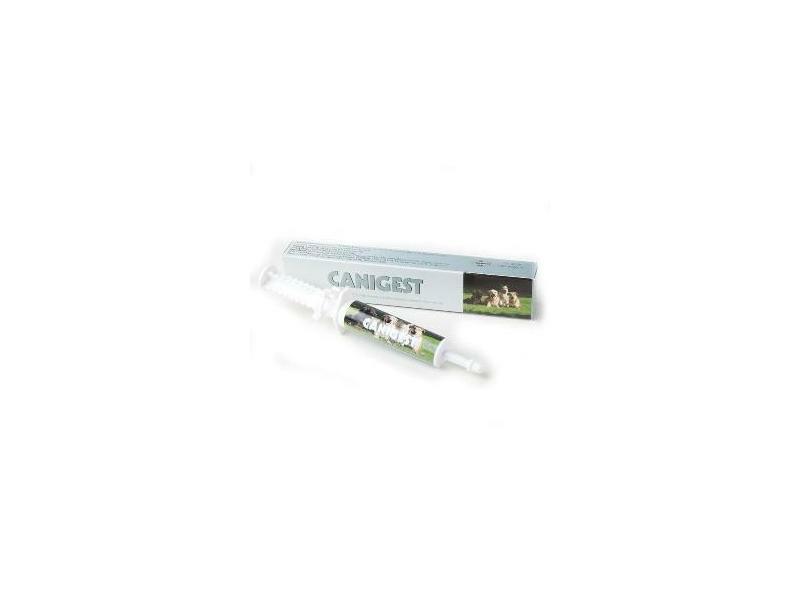 Ideally suited to complement your dog or cat's daily food intake, Canigest is a delicious feeding stuff containing Probiotics, Prebiotics, Glutamine, Pectin and Kaolin. Perfect for nutritionally supporting dogs with digestive tract upsets, Canigest Paste can be used to encourage appetite and digestion. Stress and diet changes can affect the intestinal microflora of dogs and probiotics can help to re-establish levels of beneficial bacteria in the gut. Probiotics may also improve health conditions in dogs exposed to stress and infections. Research has shown that Enterococcus Faecium is a useful nutritional agent in antidiarrheal therapy. Studies have shown that supplementing prebiotics such as Fructo Oligosaccharides and Mannan Oligosaccharides can increase the number of friendly bacteria in the colon while reducing the population of harmful bacteria. Kaolin and pectin act as adsorbents. Adsorbents work by binding to harmful bacteria and toxins and removing them from the gut. Glutamine plays a role in the health of the immune system, digestive tract, and muscle cells. It acts as a mediator in the development of intestinal epithelial cells. Stress on the intestinal cells caused by digestive tract upsets can increase the need for glutamine as the body replaces the cells lining the intestinal tract. Below are some recent questions we've received regarding Canigest Paste for Dogs, including answers from our team. Yes Canigest would be suitable in this instance. You could also have a look at Protexin Pro-Kolin Enterogenic which should be very helpful and is designed to be given daily. Would this product help our new rescue cat's smelly poop. His stool is almost firm now but I've never smelt poop like it and I've had quite a few cats over the years. Canigest is marketed for dogs. I expect it might well be good for cats, but it would not be my first choice. Personally I would suggest Pro-kolin Enterogenic sachets. I have heard many good reports about their effects in dogs and cats. They work on similar lines t Canigest.